ATLANTA , GA — The Atlanta-based craft brewing company Sweetwater, broke ground on an 18-month long expansion that will quadruple their current barrel capacity and give way for new equipment purchases. The brewing company, which produced just over 70,000 barrels in 2010 is on pace to eclipse 90,000 barrels for 2011, according to Steve Farace, a brewery spokesperson. 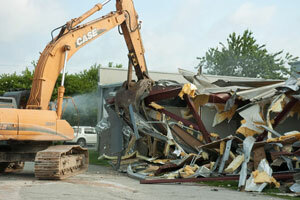 The expansion, which will take the brewing facilities from 26,000 square feet to 110,000 square feet began last Friday. The plans include office and lab space, event space and a shiny new 250 barrel brewhouse. In addition, the brewing company is upgrading their bottling machine to a system which allows them to fill 500 bottles per minute, double their current capabilities. In addition, new 1000 barrel fermenters will be added. “Our Main goal with the expansion is for us to keep up with current demands,” said Farace. The Atlanta market has grown 25% for Sweetwater already this year. According to Farace, the first phase of expansion, which includes the packaging and bottling upgrades, will be completed within the next six months.